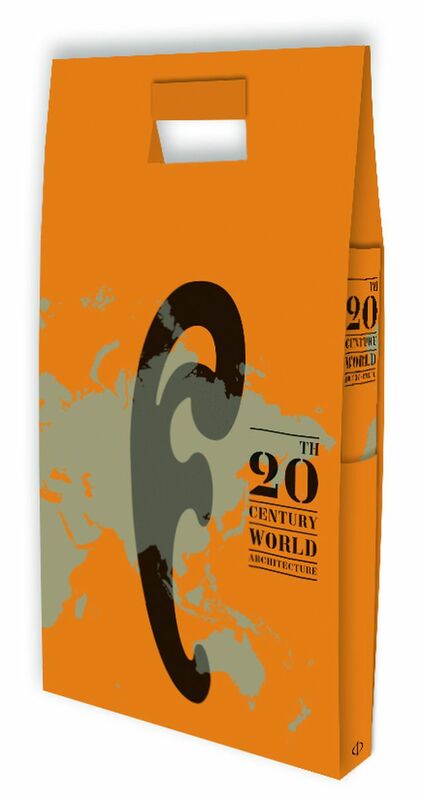 20th-Century World Architecture : The Phaidon Atlas. Photo ©2012 Phaidon Press, Inc.
An atlas is a collection of various maps of the earth or a specific region of the earth, such as the U.S. or Europe. The maps in atlases show geographic features, the topography of an area's landscape and political boundaries. They also show climatic, social, religious and economic statistics of an area. Maps that make up atlases are traditionally bound as books. These are either hardcover for reference atlases or softcover for atlases that are meant to serve as travel guides. There are also countless multimedia options for atlases, and many publishers are making their maps available for personal computers and the Internet. The use of maps and cartography to understand the world has a very long history. It is believed that the name "atlas," meaning a collection of maps, came from the mythological Greek figure Atlas. Legend says that Atlas was forced to hold the earth and the heavens on his shoulders as a punishment from the gods. His image was often printed on books with maps and they eventually became known as atlases. The earliest known atlas is associated with the Greco-Roman geographer Claudius Ptolemy. His work, Geographia, was the first published book of cartography, consisting of the knowledge of the world's geography that was known around the time of the second century. Maps and manuscripts were written by hand at the time. Geographia's earliest surviving publications date back to 1475. The voyages of Christopher Columbus, John Cabot, and Amerigo Vespucci increased knowledge of the world's geography in the late 1400s. Johannes Ruysch, a European cartographer and explorer, created a new map of the world in 1507 that became very popular. It was reprinted in a Roman edition of Geographia that year. Another edition of Geographia was published in 1513 and it connected North and South America. The first modern atlas was printed in 1570 by Abraham Ortelius, a Flemish cartographer and geographer. It was called Theatrum Orbis Terrarum, or Theater of the World. It was the first book of maps with images that were uniform in size and design. The first edition consisted of 70 different maps. Like Geographia, Theater of the World was extremely popular and it was printed in numerous editions from 1570 to 1724. In 1633, a Dutch cartographer and publisher named Henricus Hondius designed an ornately decorated world map that appeared in an edition of Flemish geographer Gerard Mercator's atlas, originally published in 1595. The works by Ortelius and Mercator are said to represent the beginning of the Golden Age of Dutch cartography. This is the period when atlases grew in popularity and became more modern. The Dutch continued to produce many volumes of atlases throughout the 18th century, while cartographers in other parts of Europe also began to print their works. The French and British began to produce more maps in the late 18th century, as well as sea atlases because of their increased maritime and trade activities. By the 19th century, atlases began to get very detailed. They looked at specific areas such as cities instead of whole countries and/or regions of the world. With the advent of modern printing techniques, the number of atlases published also began to increase. Technological advances such as Geographic Information Systems (GIS) have allowed modern atlases to include thematic maps that show various statistics of an area. Because of the wide variety of data and technologies available today, there are many different types of atlases. The most common are desk or reference atlases, and travel atlases or roadmaps. Desk atlases are hardcover or paperback, but they're made like reference books and they include a variety of information about the areas they cover. Reference atlases are generally large and include maps, tables, graphs and other images and text to describe an area. They can be made to show the world, specific countries, states or even specific locations such as a national park. The National Geographic Atlas of the World includes information about the entire globe, broken down into sections that discuss the human world and the natural world. These sections include the topics of geology, plate tectonics, biogeography, and political and economic geography. The atlas then breaks the world down into continents, oceans and major cities to show political and physical maps of the continents as a whole and the countries within them. This is a very large and detailed atlas, but it serves as a perfect reference for the world with its many detailed maps as well as images, tables, graphs, and text. The Atlas of Yellowstone is similar to the National Geographic Atlas of the World but it's less extensive. This, too, is a reference atlas, but instead of examining the entire world, it looks at a very specific area. Like the larger world atlas, it includes information on the human, physical and biogeography of the Yellowstone region. It offers a variety of maps that show areas within and outside of Yellowstone National Park. Travel atlases and roadmaps are usually paperback and are sometimes spiral bound to make them easier to handle while traveling. 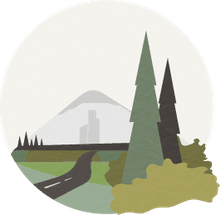 They often do not include all the information that a reference atlas would, but instead focus on information that may be useful to travelers, such as specific road or highway networks, the locations of parks or other tourist spots, and, in some cases, the locations of specific stores and/or hotels. The many different types of multimedia atlases available can be used for reference and/or travel. They contain the same types of information you'd find in book format. The National Geographic Atlas of the World is a very popular reference atlas for the wide variety of information it contains. Other popular reference atlases include Goode's World Atlas, developed by John Paul Goode and published by Rand McNally, and the National Geographic Concise Atlas of the World. Goode's World Atlas is popular in college geography classes because it includes a variety of world and regional maps that show topography and political boundaries. It also includes detailed information about the climatic, social, religious and economic statistics of the world's countries. Popular travel atlases include Rand McNally road atlases and Thomas Guide road atlases. These are very specific to areas such as the U.S., or even to states and cities. They include detailed road maps that also show points of interest to aid in travel and navigation. Visit National Geographic's MapMaker Interactive website to view an interesting and interactive online atlas.